Wikipedia : The Seven Basic Tools of Quality is a designation given to a fixed set of graphical techniques identified as being most helpful in troubleshooting issues related to quality. They are called basic because they are suitable for people with little formal training in statistics and because they can be used to solve the vast majority of quality-related issues. Identifies many possible causes for an effect or problem and sorts ideas into useful categories. Organizations face problems everyday and it is required to understand the causes of these problems in order to solve them effectively. Cause and effect diagrams exercise is usually a teamwork. 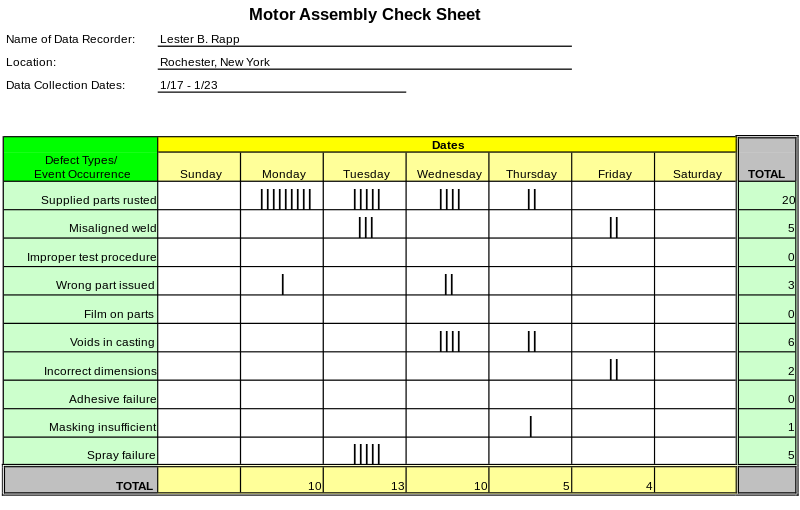 The check sheet is a form (document) used to collect data in real time at the location where the data is generated. The data it captures can be quantitative or qualitative. When the information is quantitative, the check sheet is sometimes called a tally sheet. A structured, prepared form for collecting and analyzing data; a generic tool that can be adapted for a wide variety of purposes. One can always use a paper-based check sheet when the information gathered is only used for backup or storing purposes other than further processing. Control charts, also known as Shewhart charts (after Walter A. Shewhart) or process-behavior charts, in statistical process control are tools used to determine if a manufacturing or business process is in a state of statistical control. 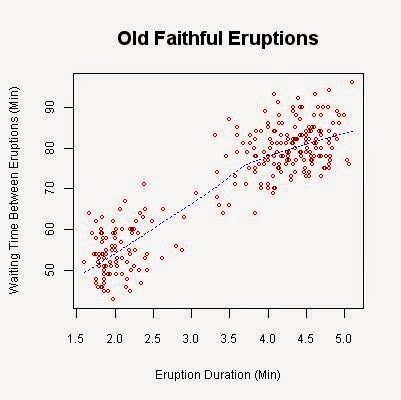 Graphs used to study how a process changes over time. Identification of common cause of variation. Special conditions where the monitoring party needs to react. 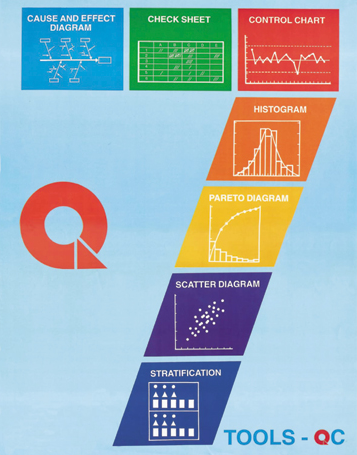 A histogram is a graphical representation of the distribution of data. It is an estimate of the probability distribution of a continuous variable (quantitative variable) and was first introduced by Karl Pearson. The most commonly used graph for showing frequency distributions, or how often each different value in a set of data occurs. 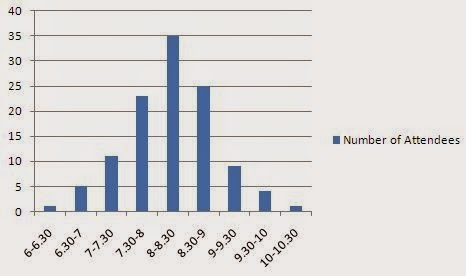 Consider the above example: The following histogram shows morning attendance of a class. The X-axis is the number of students and the Y-axis the time of the day. The left vertical axis is the frequency of occurrence, but it can alternatively represent cost or another important unit of measure. The right vertical axis is the cumulative percentage of the total number of occurrences, total cost, or total of the particular unit of measure. Because the reasons are in decreasing order, the cumulative function is a concave function. To take the example above, in order to lower the amount of late arrivals by 78%, it is sufficient to solve the first three issues. 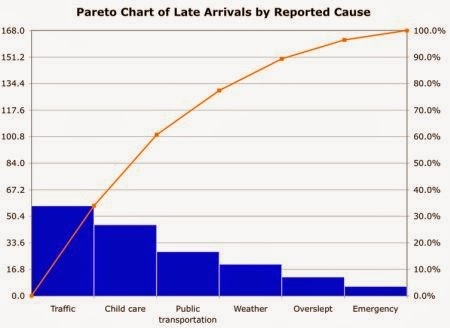 The purpose of the Pareto chart is to highlight the most important among a (typically large) set of factors. 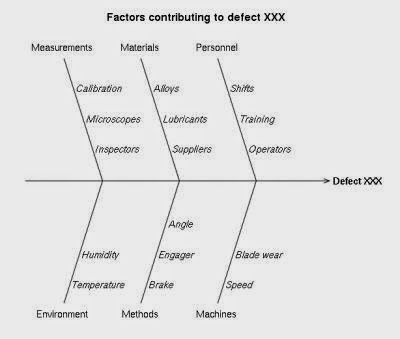 In quality control, it often represents the most common sources of defects, the highest occurring type of defect, or the most frequent reasons for customer complaints, and so on. Wilkinson (2006) devised an algorithm for producing statistically based acceptance limits (similar to confidence intervals) for each bar in the Pareto chart. Shows on a bar graph which factors are more significant. A scatter plot, scatterplot, or scattergraph is a type of mathematical diagram using Cartesian coordinates to display values for two variables for a set of data. The data is displayed as a collection of points, each having the value of one variable determining the position on the horizontal axis and the value of the other variable determining the position on the vertical axis. This kind of plot is also called a scatter chart, scattergram, scatter diagram, or scatter graph. Graphs pairs of numerical data, one variable on each axis, to look for a relationship. When it comes to the values of two variables, scatter diagrams are the best way to present. Scatter diagrams present the relationship between two variables and illustrate the results on a Cartesian plane. Stratification is the process of dividing members of the population into homogeneous subgroups before sampling. The strata should be mutually exclusive: every element in the population must be assigned to only one stratum. The strata should also be collectively exhaustive: no population element can be excluded. Then simple random sampling or systematic sampling is applied within each stratum. This often improves the representativeness of the sample by reducing sampling error. It can produce a weighted mean that has less variability than the arithmetic mean of a simple random sample of the population. A technique that separates data gathered from a variety of sources so that patterns can be seen (some lists replace “stratification” with “flowchart” or “run chart”). This is one of the basic quality tool that can be used for analyzing a sequence of events. 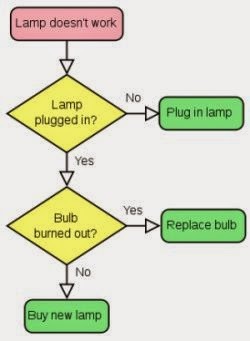 Flow charts can be used for any field to illustrate complex processes in a simple way. There are specific software tools developed for drawing flow charts, such as MS Visio. You can download some of the open source flow chart tools developed by the open source community.